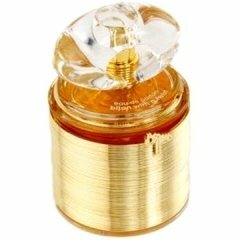 Bijan with a Twist for Women is a perfume by Bijan for women and was released in 2001. The scent is floral-sweet. The production was apparently discontinued. After the first spray I really thought that this was " cruel and unusual punishment" as the bergamot and, unexpectedely , the heart notes, mainly the violet leaf, were so loud and persistent. It was green and bitter ! Magnolia, jasmine, freesia, rose, where are you my friends, don't let me down! And there came the twist: a soft nice drydown with a light flowery scent, softened by the amber and just a hint of vanilla and with the vetiver peeking out now and then. This scent is neon green with rosy edges. Write the first Review for Bijan with a Twist for Women!